I am way behind on my blogs! A month or so ago, Tucked away in Halstead, KS, Tyson and Lauren were married at the quaint Riverside Park. This wedding was definitely a fun, laid back, nice change of pace. You can only love barbecue picnic weddings where everyone can enjoy great music, great family and friends, and great times. 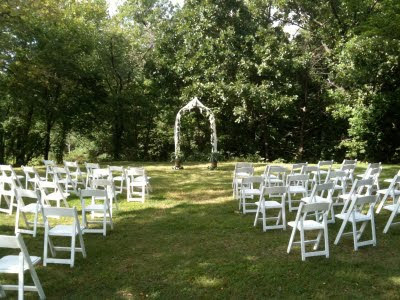 It was truly a pleasure to provide ceremony and reception services for your wedding. - Tyson and Lauren, thank you both!